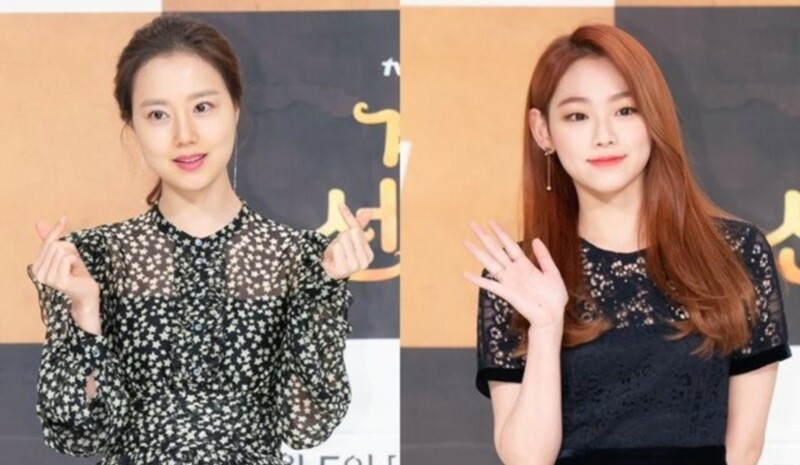 Moon Chae Won and Gugudan's Mina opened up about playing mother and daughter in the upcoming tvN drama 'Tale of Fairy'. At the October 30th press conference, Moon Chae Won expressed, "I was happy when I heard Mina was cast because she fits in very well with the image of a cat. I'd never seen Mina before, and she said it was her first time in a drama. It's also my first time playing the role of a mother, so I was curious how it would be to play mother and daughter onscreen. It was comfortable though. Even when we were in the same space, there was absolutely no awkwardness." Mina also said, "I wasn't used to the filming set, so I was very nervous. Moon Chae Won looked after me well, and I was able to film comfortably because she gave me a lot of inside tips. I think that's why our chemistry improved." 'Tale of Fairy' is a webtoon-based drama about a 699-year-old fairy who lost her wings and is unable to ascend to heaven. In modern day, she meets reincarnations of her former husband. It's set to premiere on November 5 KST. Mina actually has been in a drama before. She played Han Ye Seul's younger self in the MBC drama 20th Century Boy and Girl last year, but it was a pretty small role, basically a cameo.